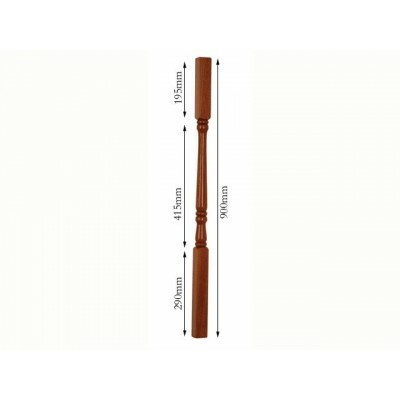 The traditional style of Georgian spindles is our most popular design, possibly due to their simple but elegant design. These are turned balusters and been shaped on a lathe to ensure a smooth finish. The flutes on these spindles add an extra dimension and a flush of elegance to a classic style. The fluting is the shallow grooves that are vertically cut into the turned part of the spindle that gives it added texture.